Brasato Al Barolo is traditionally made by braising a chuck roast in red wine. In this episode, I use beef short ribs for my own twist on the classic Brasato Al Barolo. This is the last in the series where I'm joined by a host of guests in the kitchen. 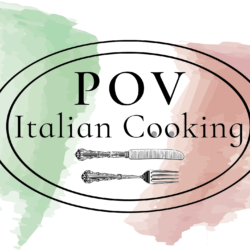 See how I make Brasato Al Barolo using beef short ribs instead of chuck roast in Episode 115 of POV Italian Cooking.